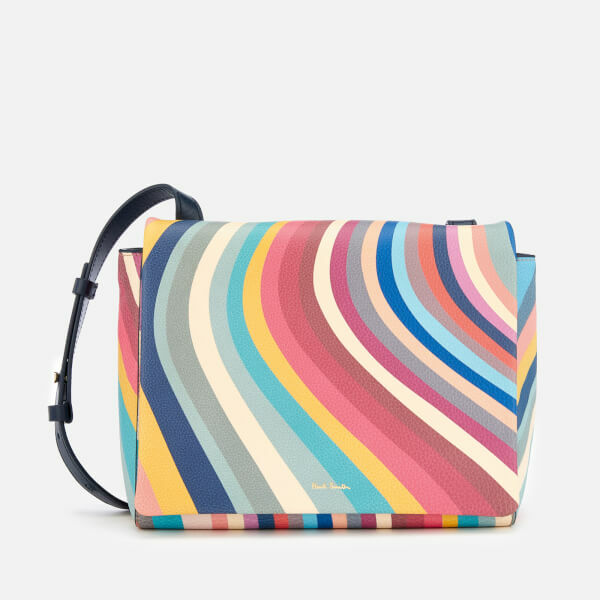 Multicoloured swirl print shoulder bag from Paul Smith. 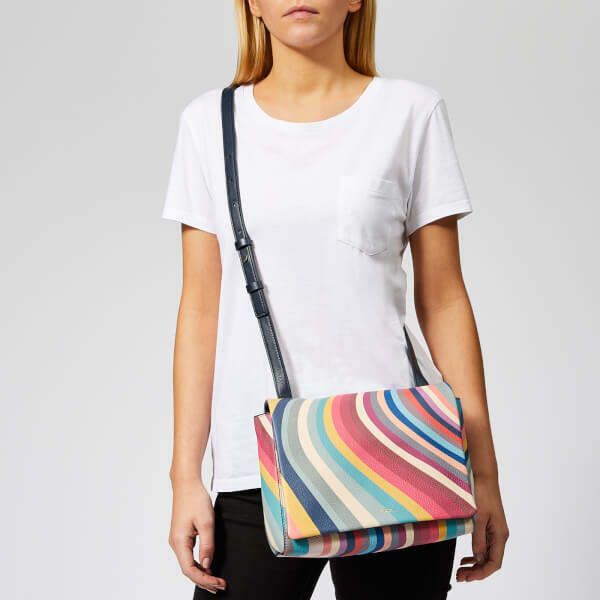 Crafted from grain textured calf leather, the medium-sized bag has a fold over design with a dual magnetic fastening and an adjustable navy leather shoulder strap. 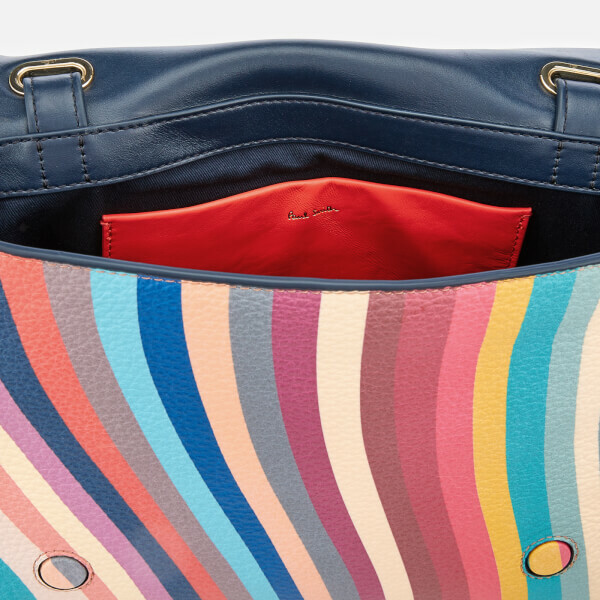 The interior is lined with navy fabric and detailed with a coral leather slip pocket. 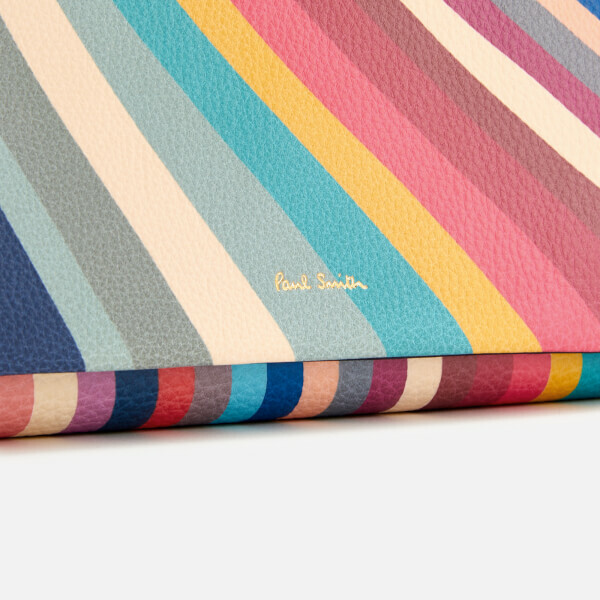 Gold-tone hardware and gold foil Paul Smith branding to the front completes the vibrant design. 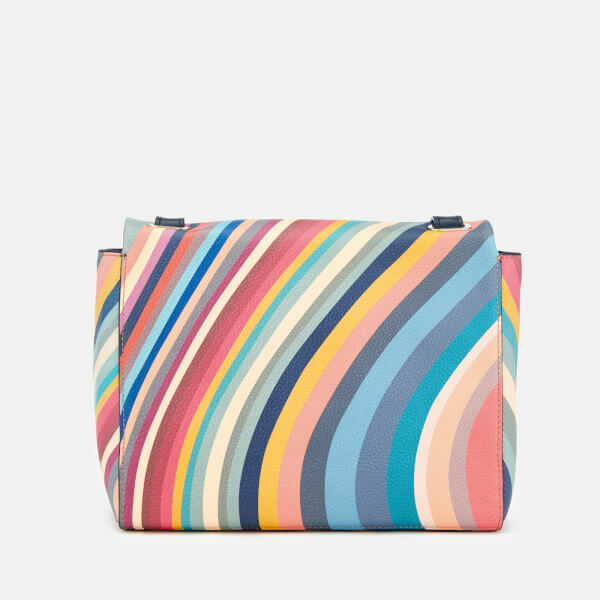 Presented in a Paul Smith branded dust bag. Dimensions: H: 21cm x W: 25cm x D: 10cm. Strap Drop: 53cm.